It’s an unhappy fact of life: Sooner or later, the economy’s going to take another dive. Sorry, but another recession is bound to happen in the next few years. And when it does, your future self is going to thank you for thinking ahead and getting ready for it. Oh, wait, you haven’t done that? You’re totally unprepared for the next recession? Well, don’t feel bad. Two-thirds of Americans are in the same boat, according to a new GOBankingRates survey. It found that most Americans’ finances are woefully unprepared to withstand another recession. In the last U.S. recession, millions of Americans lost their homes, jobs or businesses. With that in mind, we’re here with six steps you can take to protect yourself from a recession and mitigate the damage it can cause you. Like we said, economic downturns are simply a fact of life. Technically, a recession is when the economy declines for at least six months in a row. That typically leads to serious job losses. Our most recent downturn was called the Great Recession because it was the worst one since the Great Depression. The Great Recession ended in 2009 — eight years ago. 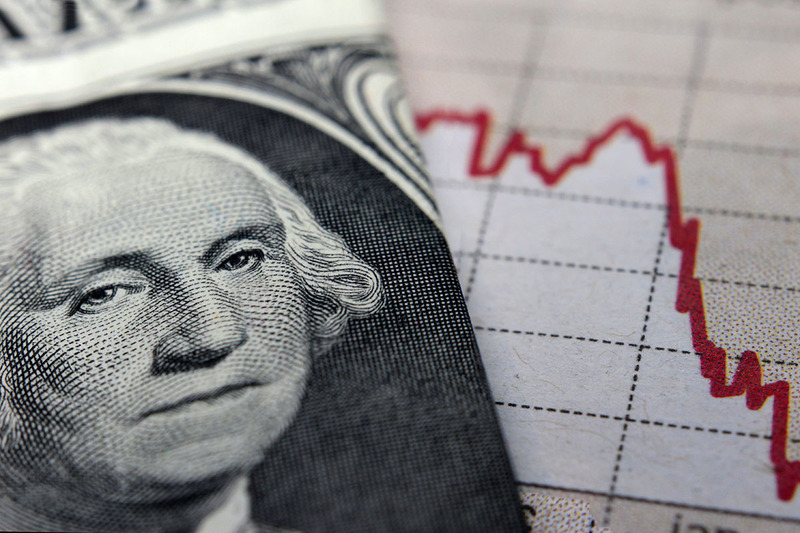 Historical data shows the U.S. averages a recession every six to seven years. So we’re probably due for another one in the next few years. Nobody knows when. And it doesn’t matter who’s in the White House. None of this is intended to be a political statement of any kind. The fact is, these same truths would apply whether Donald Trump or Barack Obama or Hillary Clinton were president. Could you live off your savings for six months? For a year? Don’t feel bad — I know I couldn’t. Start socking away a little cash to give yourself a financial cushion, an emergency fund in case you get laid off. Once you have an emergency fund goal in mind, figure out how much of each paycheck you’ll need to set aside to reach your goal in three months, six months, a year. Stash and Acorns are two popular apps that offer easy, automatic ways to start saving and investing. They’re really useful for tricking your brain into saving more. You’ll invest without even realizing you’re doing it. Stash sets up automatic stock market investments for you. It lets you invest as little as $5 into a set of simple portfolios reflecting your goals and your tolerance for risk. You can set it up to pull a specific sum of money from your bank account at regular intervals. Right now, The Penny Hoarder is teaming up with Stash to give you an extra $5 after your first investment. Once you connect the Acorns app to a debit or credit card, it rounds up your purchases to the nearest dollar and funnels your digital change into an investment account. You can have it automatically round up all your purchases, or only the transactions you choose. Losing your job would be a painful blow to your bank account unless you’re able to find new employment quickly. That’s why it’s best to diversify your income if possible. The simplest way to do that is by starting a side gig. You can hustle up extra money driving with Uber or Lyft on your own schedule. Thanks to the growing gig economy, there are other ways to scratch up some extra cash nowadays. Craigslist is an easy place to sell your services under the “Gigs” section. And if you don’t trust Craigslist, check out TaskRabbit or Fiverr — to name just a few. Here’s why credit card balances are the devil: If you don’t pay off your balance every month, interest charges will keep eating away at your income. Paying off your credit cards now will free up money in the future — money that will get you through hard times. The average interest rate on credit cards these days is nearly 13%, or 16% for travel rewards cards. Instead of burning your money paying interest, take out a debt consolidation loan at a lower interest rate. Credible is an online marketplace that offers consumers personalized loan offers. Think of it like Zillow — but for personal loans. Rates start at 5.99%, and you can check yours by entering a loan amount ($500 to $40,000) and comparing your personalized options in under 90 seconds. When the last recession caused the stock market to plunge, Americans’ retirement savings took a beating. The nation’s 401(k)s and IRAs lost nearly $2.5 trillion in the last half of 2008 alone. Take a look at your own 401(k) account. Are you too heavily invested in stocks? Consider your age, too. If you’re nearing retirement, put more of those funds into bonds. Just don’t get carried away with that strategy. Before making any changes to your 401(k), keep in mind how many years you have until retirement. If you have decades of working ahead of you, keep your retirement funds in stocks so you don’t miss out on the market’s long-term growth. To get more out of your 401(k) account, consider using an online robo-advisor like Blooom to help manage it for you for as low as $10 a month. Bonus: Penny Hoarders get a special rate of $99 per year with the code REEETIRE. If a recession forces your employer to cut back, how can you position yourself to keep your job? Non-essential employees get laid off first, so focus on making yourself indispensable. Don’t sleep on opportunities to acquire new skills or more responsibility. Do you like your current job? Cool. Update your resume and your LinkedIn page. Keep networking. Start networking before you need a job. The upshot of all this: No one wants to see an economic downturn, but it’s inevitable that another one will come along. If you take these steps, you might be able to sail through the next recession in style. Mike Brassfield ([email protected]) is a senior writer at The Penny Hoarder. He’s still recovering from the last recession.